Towards the end of the 18th century, Kwangtung Hakkas established a republic in Western Kalimantan which lasted 107 years and had 10 presidents. The first president is Low Lan Pak. He was born in Kwangtung, Mei Hsien, Shih Pik Pao on the third year of Ching dynasty Chien Long emperor. He married a girl and had a son. But Hakka's custom usually do not take wife along for overseas trip. He left for Western Kalimantan alone to join the gold rush at that time. He travelled along Han Jiang to Shantao, along Vietnam coastline, and finally landed in Western Kalimantan. The sultan at that time, Panembahan believing that Chinese workers are hard working, brought in 20 Chinese from Brunei. 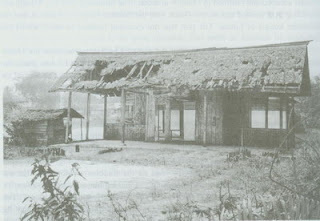 The sultan Omar in Singkawang, also heard about Chinese diligence and use the lease land system to encourage Chinese to explore in his territory. When Low Fan Pak reached Western Kalimantan, the Holland has not yet aggressively moved to Kalimantan. Along the coastal area, a lot of Java people and oceania's Bugis people settled down. Also, the Sultan's power were confined to the coastal area, the inland power belongs to the Dayak. The territories among Sultans were not well defined as well. In the beginning of 1740, the Chinese numbered only a few tens. By 1770, the Chinese has grown to 20,000 strong. By blood clan or by the area they are from, the Chinese established Kongsi(company) to protect themselves. In 1776, 14 kongsi banded together to form a He Soon 14 Kongsi in order to break the bottleneck of being grouped by area or by blood. At that time Low Lan Pak established his own Lang Fan kongsi. He then united all the Hakkas in the San-Sin lake area and build a Mem-Tau-Er township and made it the headquarter of his united company. At that time, Kun Tian(Pontianak) which located in the lower stream of Kapuas River was an important commerce area and was controlled by Sultan Abdul Laman. The upper stream of the river is controlled by the Dayaks. Kun Tian neighboring state Mempawah's Sultan tried to build a palace in the upper stream which led to the fighting between the 2 Sultans. The Kun Tian Sultan asked Low Lan Pak for help. Since the palace is being built near the Lan Fang company territory, Low Lan Pak decided to help Kun Tian Sultan and defeated the Mempawah's Sultan. 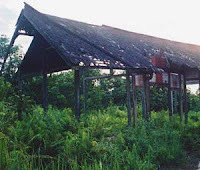 The defeated Mempawah's Sultan then joined forces with the Dayaks and launched a counter-attack. Low Lan Pak again defeated Mempawah Sultan and this time marched North all the way to Singkawang. Singkawang Sultan and Mempawah Sultan signed a peace treaty with Low Lan Pak and Low Lan Pak's popularity increased dramatically. He was 57 then. After that, Chinese and locals, turned to Low Lan Pak to seek protection, and when Kun Tian Sultan realized that he can not challenged Low Lan Pak, The sultan himself seek protection from Low Lan Pak. Thus, Low Lan Pak established a government, using his company name, changing kongsi(company) to republic, and formed Lan Fang Republic in 1777, 10 years earlier than USA(1787). At that time people wanted Low Lan Pak to be Sultan, but he declined and take the post of governorship, similar to the president post. From Qing dynasty's sea nation annals, it recorded that it is a place where Ka Yin people (Mei Hsien area) do mining, build road, establish its own nation, every year has ships reached ng Zhou and Chao Zhou area, doing commerce. >From its own Lan Fang Company annals, it indicated that every year it pays tribute to Qing dynasty like Annan (Vietnam). The capital was in Ceh Wan Li. The Ta Tang Chon Chang(president) is elected by election. Both the president position and the vice president position has to be of Hakka from Ka Yin or Ta Pu area. The flag is a rectangle yellow flag with the word Lan Fang Ta Tong Chi. The president flag is a triangular yellow flag with the word Chuao (General). The high ranking officials dress in Chinese style while lower ranking officials dress western style clothing. Low Lan Pak passed away on the second year of the republic. He has been in Borneo for 20 years. he 47th year of the republic during the reign of the fifth president Liew Tai Er, Dutch began its active expansion in Indonesia and occupied the South East region of Borneo. Lan Fang lose its autonomy and became a protected state of Dutch. Then Dutch opened a colonial office in Kun Tian and intervened republic's affair. In 1884, Singkawang refused to be ruled by Dutch, and was attacked by the Dutch. The Dutch occupied Lan Fang Kongsi. Lan Fang Kongsi fought for 4 years but eventually was defeated, and its people fled to Sum atra. Fearful of strong reaction from Ching government, Dutch never declared that it occupied Lan Fang and let one of the descendent be a figure head. It was not until the formation of Republic of China in 1912 that Dutch formally declared its formal control of the area. Those that fled to Sumatra regrouped in Medan. From there, some moved to Kuala Lumpur and Singapore. One of the descendent from these people is Lee Kuan Yew. While Hakkas are the minority in Singapore, it is the Hakkas that played an important part to establish the second Lan Fang company - Singapore.